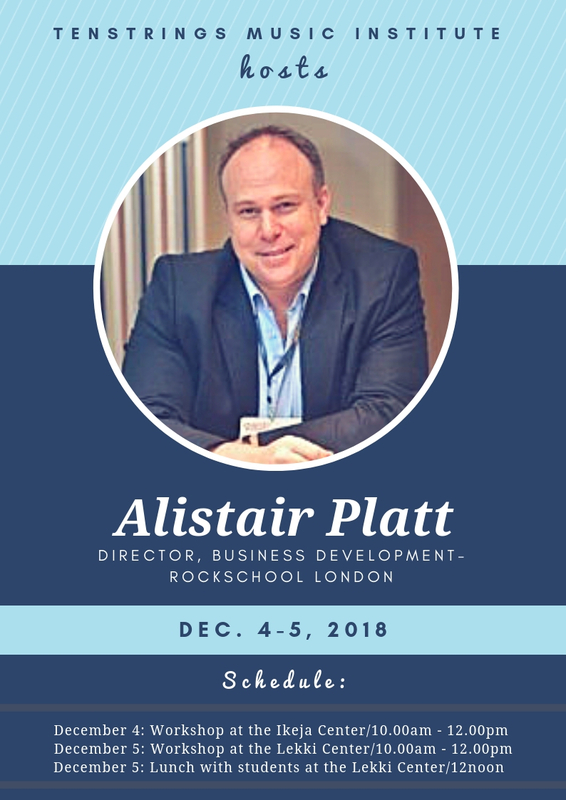 Shortly after becoming Rockschool’s exams partner for Nigeria, Tenstrings Music Institute is set to host Rockschool’s director of Business Development, Mr. Alistair Platt on December 4 & 5. See the flier below for details of his activities. Rockschool is the world’s first and largest performing arts examiners and qualification provider. It is known for delivering the most academically rigorous and industry relevant qualifications, designed to support all aspiring musicians, performers, educators and teaching establishments – wherever they may be. 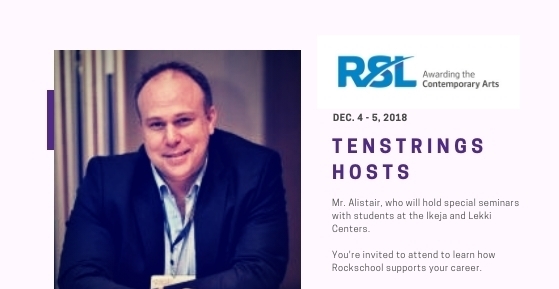 You’re invited to attend if you’re interested in Rockschool’s qualifications and awards. Simply text your full names and center of choice (Lekki or Ikeja) to 08067024255.